Since 2007 the SERF project has been investigating hillforts in Strathearn, Perthshire. To date, ten sites have been excavated by archaeologists from the University of Glasgow by digging trenches across the surviving ramparts and ditches. Most hillforts were built in the Iron Age, which in central Scotland begins in the eighth century BC and extends until the Roman conquest in the first and second centuries AD, but there are also examples from the Late Bronze Age and the Early Medieval periods. The term 'hillfort' implies a military and defensive function yet recent studies have challenged this view suggesting some were created primarily as symbols of power or communal identity. Depending on when and where they were built it is likely that hillforts served different functions within wider society. Studies like the one presented here are important to better understand regional and temporal patterns within this classification. As part of the Strathearn Environs and Royal Forteviot (SERF) project ten hillforts overlooking the Earn Valley have been explored. The evidence suggests there were changes in hillfort construction in this area over time. The largest hillfort, Rossie Law, is a rare example dating to the Late Bronze Age. In the Early Iron Age several earth bank and ditch hillforts such as Dun Knock, Jackchairs, Law of Dumbuils and Ben Effrey were built. By the Middle Iron Age these hillforts appear to have fallen out of use while other places became the focus of construction such as Castle Craig and Castle Law, Forgandenny, the latter employing a type of monumental stone construction not seen in this area before. In later years when the Roman military arrive there is little evidence for hillfort building, instead we have small monumental residences such as the broch at Castle Craig. 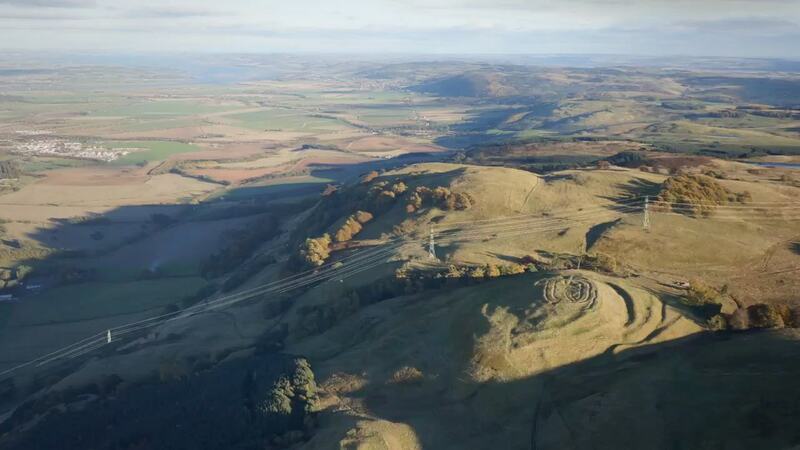 Use this resource to explore three of these hillforts in more detail: Castle Law, Forgandenny; Dun Knock and Ogle Hill. A variety of artefacts were collected during our excavations. Recovery depended largely on the conditions of the original deposit, the areas of the hillfort we excavated, and the nature of the surrounding soil. In most cases organic and fragile materials did not survive and stone was the most common type of object we uncovered. The artefacts offer glimpses into the activities carried out in the hillforts. At Dun Knock fragments of Early Iron Age cooking pots and quern stones within the remains of a possible house suggest domestic food consumption. Elsewhere a crucible and vitrified debris are indicative of specialist metalwork craft production. The adoption of new iron technologies by the people in Strathearn is evidenced from a rare example of a small axe head found within the banks of Law of Dumbuils. While finds such as the mini rotary quern fragment, perhaps the smallest in Scotland, discovered within the dun at Kay Craig are unusual and tell of practices in the Iron Age we have yet to know more about. Amongst and under the stone rubble of the once magnificent broch at Castle Craig was a relatively large and diverse assemblage of finds. This included mixture of locally manufactured items and Roman trade goods including the patera and glass bangles. The finds hint at the social connections and practices of the inhabitants. A team of specialists are still in the process of analysing all the materials recovered from the excavations. New insights and discoveries about even the smallest of objects can influence how we understand what went on in these places. Ogle Hill overlooks the modern village of Auchterarder. It is situated at the end of a spur of the Ochils, exploiting a natural wide gully which separates the low prominence of the hillfort from the surrounding landscape. The site is characterised by two banks, most visible on the low south-eastern side of the hill with the traces of an inner rampart on the edge of the summit above. Prior to excavation in 2015 an interpretive earthwork and a geophysical survey were undertaken. These surveys provided detail about the character of the remains and helped to determine where we would excavate. Two trenches were excavated in the spring of 2015. A trench measuring 40m long and 4m wide explored the banks of the hillfort. The links within this resource will guide you through our investigations of these banks and reveal our interpretations of the archaeology within this trench. A second smaller trench in the north-western corner of the hillfort between the inner and middle bank was positioned to explore a highly magnetic feature identified by geophysical survey which corresponded to a circular symbol on the 1st edition Ordnance Survey map. Through the excavation process, and invaluable conversations with the landowner whose family took over the land in 1860s, we uncovered the remains of a Victorian summerhouse. The stone foundations were still present but the wooden walls had burnt down leaving a large scatter of iron nails amongst the stones. Remains of picnic debris, such as cherry pips and lemonade bottle fragments, evoked the image of pleasant afternoons enjoying the scenery from the hilltop. 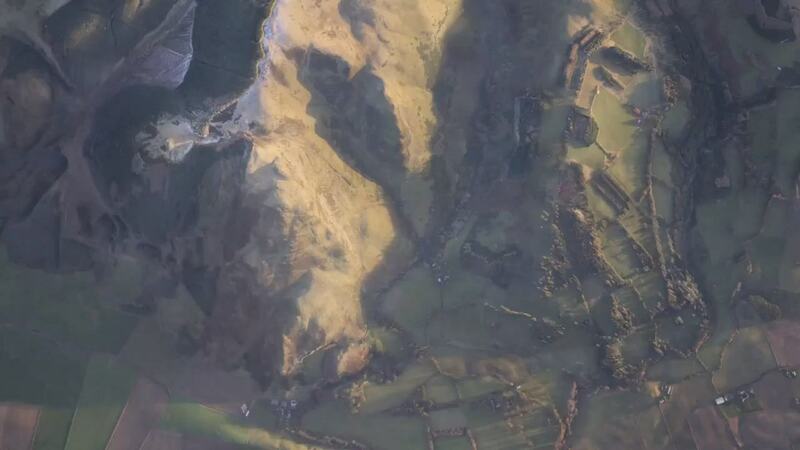 The hillfort on Dun Knock was first recorded in 1978 by RCAHMS from the air. At least four, roughly parallel ditches with an entrance on the northeast were visible in the aerial photographs as cropmarks - visible patterns in crops such as barley, outlining the shape of archaeological features, due to the differential growth. Any corresponding banks to the ditches have been ploughed out in this cultivated part of the hill. 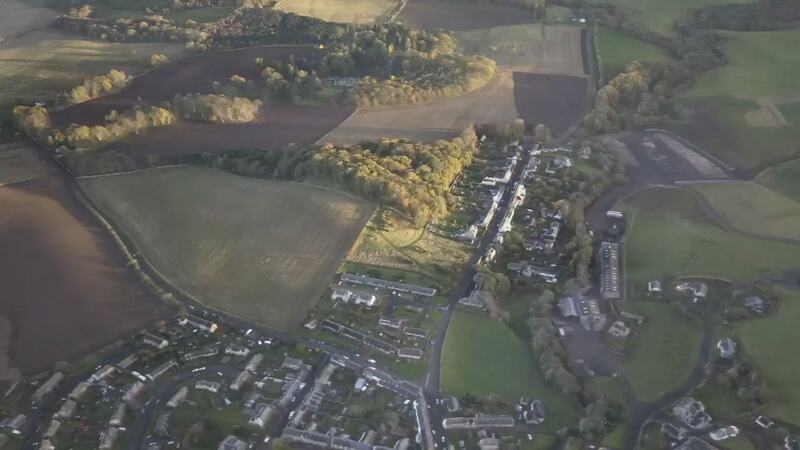 During a recent survey of the steeper south side of the hill, which is now wooded, RCAHMS proposed that the construction of the fort changed character and instead of ditches, the fort was defined by a series of closely parallel curvilinear terraces, or flat platforms on this side. Remains of a large medieval rig and furrow, or cultivation, across the summit, as well as more recent quarrying highlight later damage to the fort. 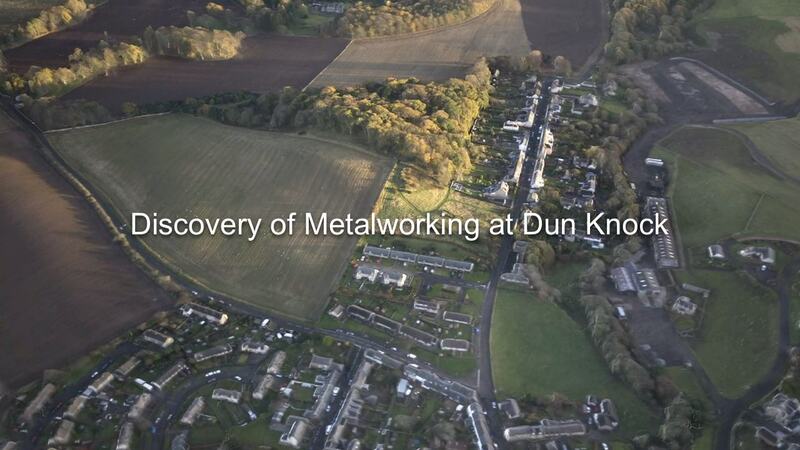 A series of trenches across Dun Knock were excavated in 2008, 2009 & 2015. The results confirmed the site had several phases of enclosure, the earliest probably dated back to the Neolithic (about 5000 years ago). 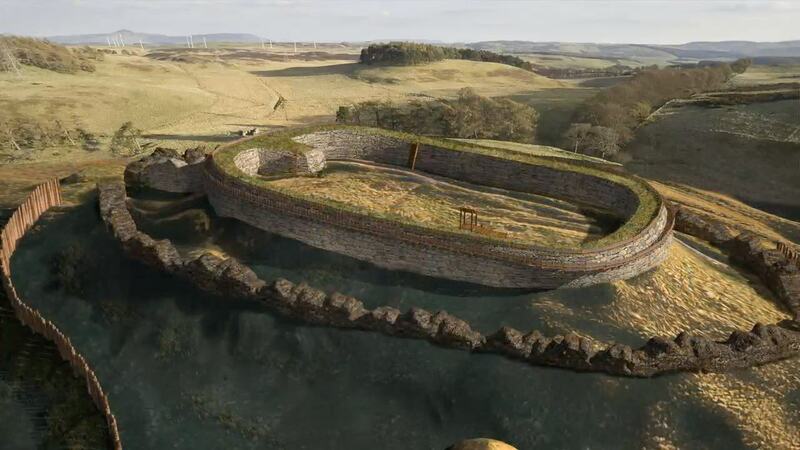 However, most of the discoveries, which include evidence for specialist metalworking and settlement (structural remains, pottery, quern stones, & leatherworking tools), demonstrate the fort was built and used in the Iron Age (2800 - 2200 years ago). Castle Law, Forgandenny hillfort has remained a prominent monument within the Earn valley since it was first constructed in the Iron Age. The only recorded excavation prior to SERF, was in 1892 by Edwin Weston Bell. Bell's excavations focused on finding and digging out the entrance and wall faces of the stone enclosures on the summit of the hill. His techniques would be considered crude by modern standards and consequently his trenches and the spoil from his excavations still scar the hill today. The hillfort is formed of at least two deeply dug ditches which curve round the slope of the hill. Each of these ditches has a corresponding bank or rampart, visible as a linear mound largely comprising the soil from the construction of the ditch. On the summit of the hill there are two oval shaped stone walled enclosures. The walls of these enclosures were massive, up to 5 meters in thickness, and would have stood far higher then they appear today. It is likely that wooden timbers would have supported the upper layers of these walls. Across the summit of Castle Law there are also numerous possible hut platforms, relatively circular areas on which timber or turf roundhouses were built. 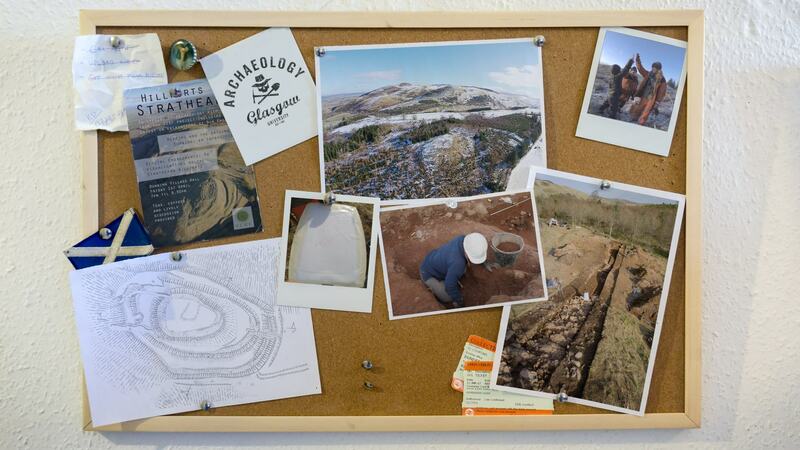 The hillforts investigation has been the work of many hands over ten years. Below is a list of people we would like to thank who have contributed in varying capacities and degrees to the results of this part of the SERF project. The list includes colleagues, specialists, students and volunteers. It may be that I have missed out on some names and for that I apologise, but know your help was appreciated.